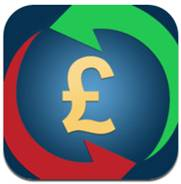 MyBizTracker app gives small businesses a new way to keep on top of finances, now available on the app store. In launching MyBizTracker we are making it easier to stay on top of the finances and keep good business records on the go. Intuit, the makers of small business accounting software QuickBooks, has today launched the MyBizTracker™ App for iPhone and iPod touch, making it easier for UK small businesses to keep their finances in check whilst on-the-go. Intuit developed the app in line with requirements set out by HMRC (Her Majesty’s Revenue and Customs) to make record-keeping of income and expenses easier and more accessible for start-ups and early stage businesses. The My Biz Tracker Mobile App is available from the App Store on iPhone and iPod touch or at itunes.com/appstore. Intuit is a leading provider of financial management solutions for small businesses and accounting professionals. Its flagship products and services, including QuickBooks and QuickBooks Online, simplify small business accounting and payroll processing. Intuit UK is a subsidiary of Intuit Inc. For more information please visit: http://www.intuit.co.uk.